For reliable control of heating systems, we have developed a flexible system which is adaptable to all applications. 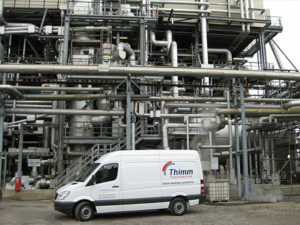 The heart of the system is the controller module TC400 – RMR, a four-channel controller, which is connected to the Control Unit TC400-PA via a patch cable. The Cascade Module enables possible extension in the future. In hazardous areas the limiter TC400-LI shall be installed which offers the safe operation of the system up to a Safety Integrity Level of SIL2. 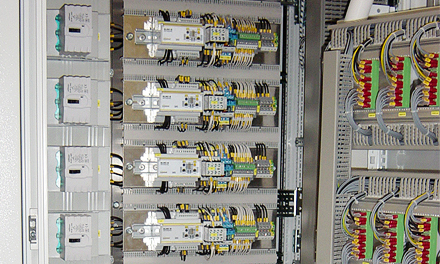 From left to right: TC400-CM cascade module, Controller Nodule TC400-RMR, Operating Unit TC400-PA, Atex Limiter TC400-LI with display and without. 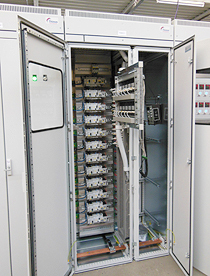 With our standardized modular technology, the advantages of our control system TC400 are enormous. With this technology both the heating circuit disposal as well as the display of the TC400 can be exchanged instantly. Figure shows the outlet compartment for 12 heating circuits in module technology. The replacement of a Heating Circuit disposal is possible and is trouble-free and can be carried out only with a wrench. The TC400 can be changed instantly, thanks to the data transmission via patch cables. 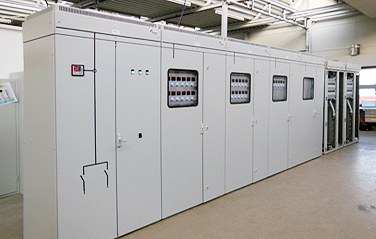 Our modular design and the TC400-control system have been installed in various plants worldwide.